Christmas is just around the corner and for nearly 30 years Woolworths customers have kindly included shelter dogs and cats on their Christmas lists, filling the bowls of tens of thousands of deserving animals through the Woolworths Christmas Pet Food Appeal. We are delighted to say the appeal is back for 2015. 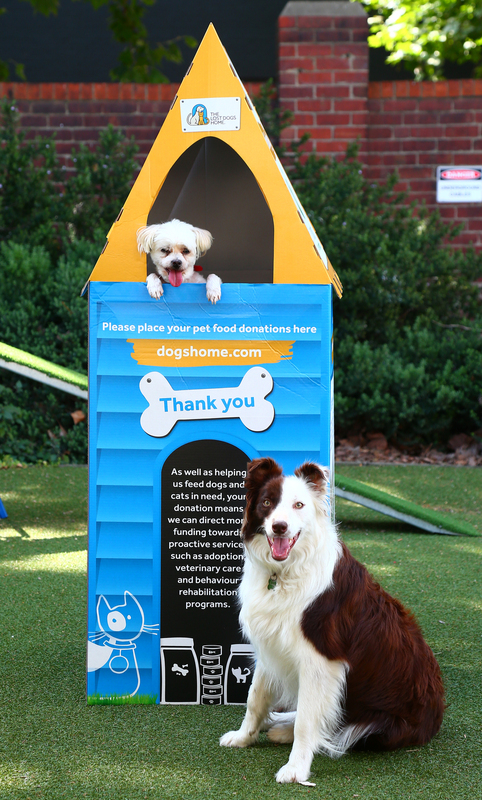 The Woolworths Christmas Pet Food Appeal is the Home’s biggest annual food drive, and this year more than 60 Woolworths stores throughout Victoria will participate in the appeal. A full list of participating stores can be found here. In previous years thoughtful shoppers from Cranbourne to Sunshine have dug deep and have raised more than $100,000 worth of treats, dry and canned pet food to help the Home feed its residents throughout the year. These generous food donations help us direct more vital resources to the running of important services including our foster and adoption programs along with our 24-hour Animal Ambulance Service. Each and every day we see cats and dogs of all ages, sizes and breeds come through our doors. As a result, we welcome a variety of wet and dry food treats. We are always in special need of specialised food for puppies, kittens and seniors. We also tend to run low on cat food quickly – so don’t forget our fantastic felines. On behalf of our shelter animals, we’d like to thank Woolworths and all their shoppers who show their overwhelming support each and every year.